It has many hotels and motels of all sizes. It has a good size jet airport. If you have not registered yet, please go to the ride registration page to register for the ride. 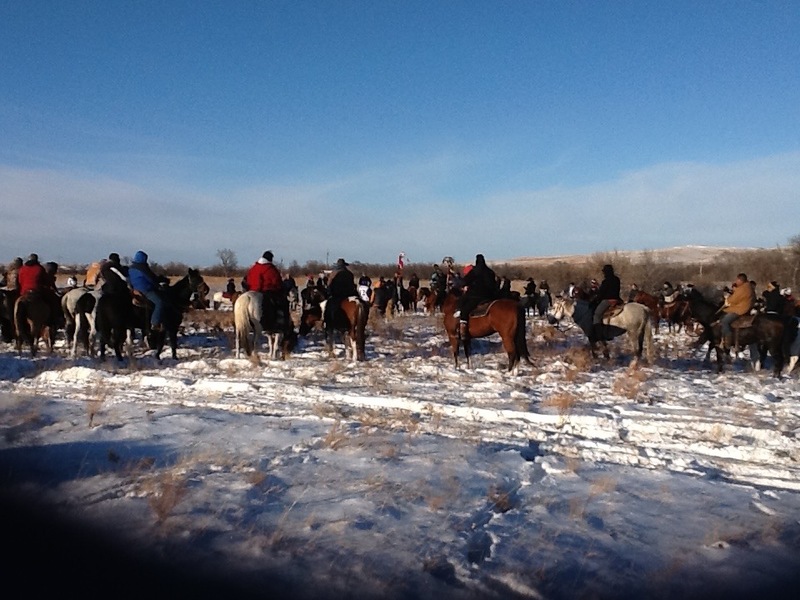 NOTE: IF YOU ARE COMING TO TAKE PART IN ARRIVAL AT WOUNDED KNEE ON DECEMBER 28TH, PLEASE BOOK ROOM AT PRAIRIE WIND HOTEL ON PINE RIDGE: 605-867-6300 THE NIGHT BEFORE, DECEMBER 27TH. Clothing: Be prepared for Zero to Sub-zero degree weather most of the trip. It can get down to 10-20 degrees below zero, but hopefully not. One year during the night, it reached -40 degrees Fahrenheit with a wind chill of -80 below. Sleeping bags or bedding for temperatures listed above. Snacks for yourself. We will feed the entire trek, but it is not vegetarian. Vegetarians, please bring your own protein sources. 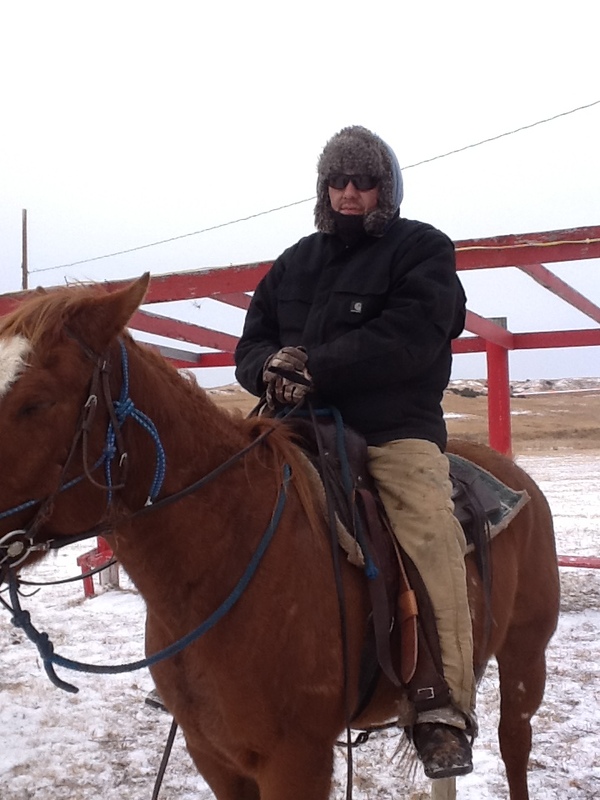 Meet at Takini School, Bridger, SD, in the late afternoon. Plan to sleep on gymnasium floor overnight. If there are too many people for that site there is room for overflow at the community center in Bridger. Plan to circle up at 9am on December 23, 2015 for Ceremonies prior to heading out. If the weather is very bad and snowy, please make sure you are at Takini School on this day. 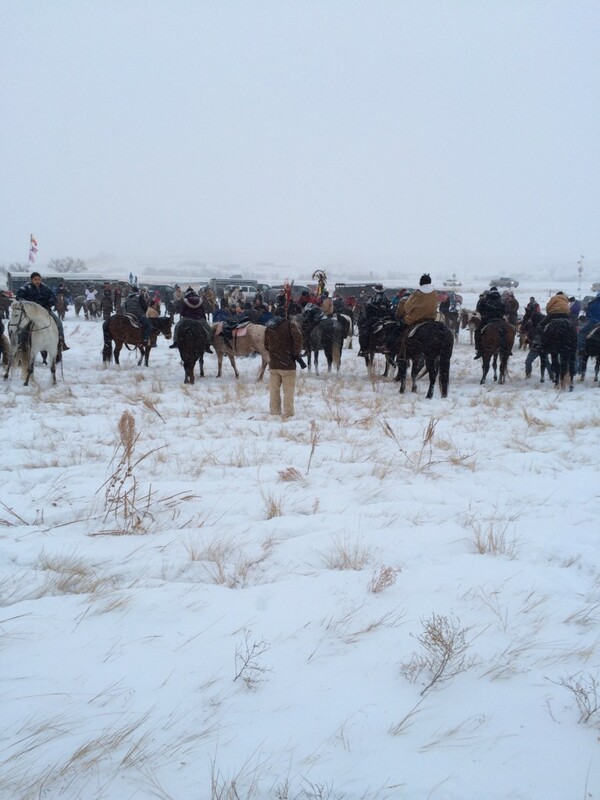 The riders from Fort Yates [Riders honoring Sitting Bull who was killed on December 15th and who will start riding on that day]will already be there. Have your horse, running shoes, walking boots, and yourself ready and circle up for morning ceremony at 9am. We will stop for lunch and to feed and water the horses. 25-30 miles the first day! Some can drive to local motels. 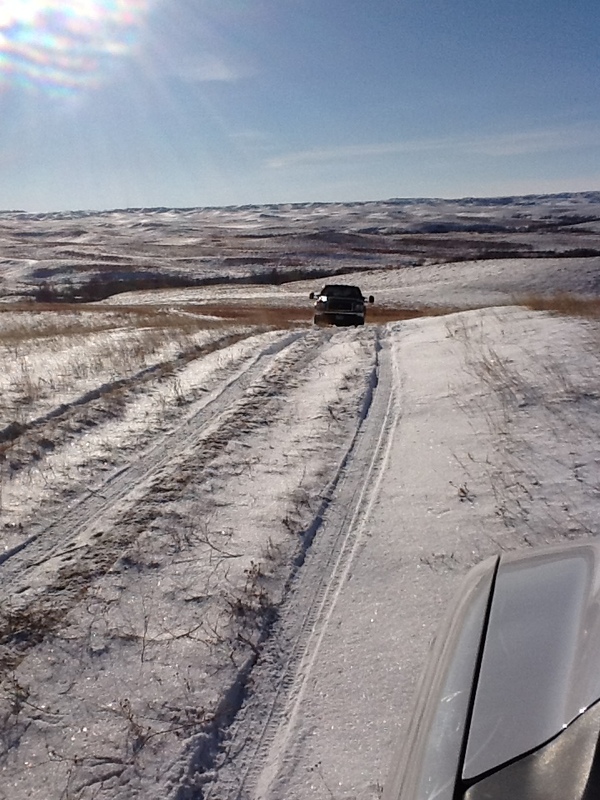 Be prepared to camp out or sleep in horse trailers, tents, vehicles….snow may prevent some distance travel to motels. Camp out in tents, etc. Motels are reachable at night from this site. Camp out inside High school Gymnasium in Kyle, South Dakota.